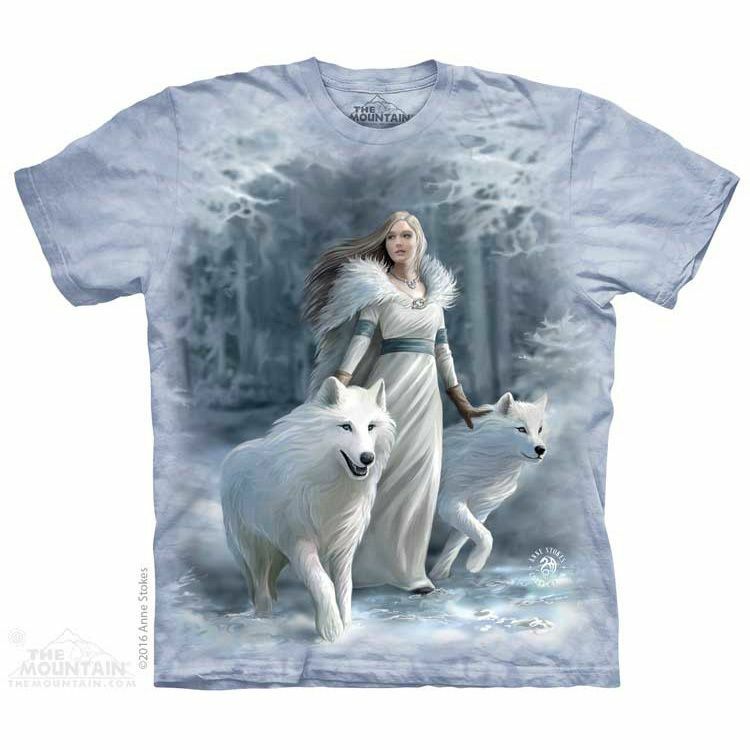 Winter Guardians from The Mountain® is a wolf t-shirt design by fantasy artist Anne Stokes. 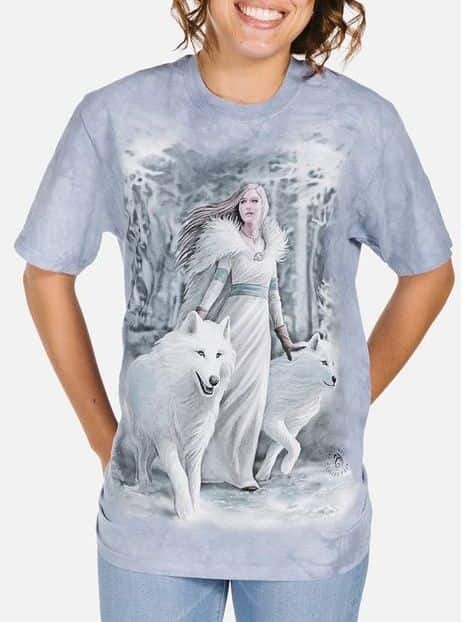 The wintry image features a maiden with two white wolves in a snow covered forest. This unisex tee is a classic fit suitable for men and women.